Using a label maker is a great way to help you organize. Here's our roundup of label makers for your home office. A label maker can help you stay organized and keep your office items in check. They will help you classify supplies and documents, then store them accordingly and make them easier to find. You might be amazed at how much more creative and productive you feel when your space is in order. When you use your label maker and put everything in its proper place, you’ll create more space in your home office. Instead of scrambling to find the right item, you’ll know where it is and save yourself a lot of hassle. Over time, this can make your office a calmer place and contribute to feeling less stressed. 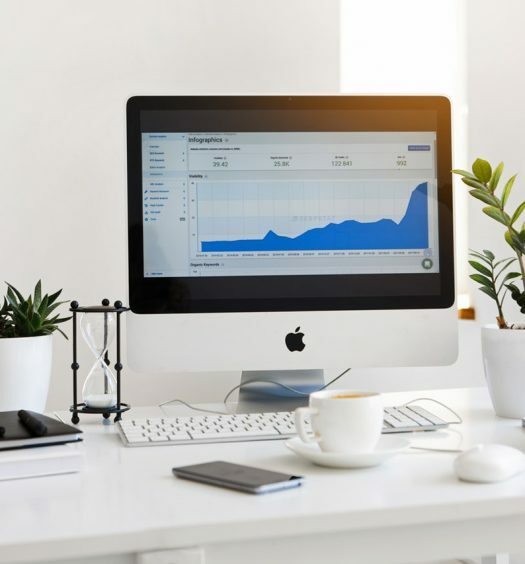 How much time would you save during the work day if you no longer had to look for documents or rifle through drawers looking for what you need? A label maker keeps track of where things are for you. That way, you don’t have to spend as much time remembering where you put things and searching for lost objects. Your label maker isn’t only useful for labeling files and other office-related objects. You can also use it in your kitchen to put dates on your food or use it to put your name on your mailbox. Lend it to a friend who needs help organizing their classroom, or make labels in foreign languages to help you with your studies. These are just a few ideas. Once you have a label maker, you’ll come up with many valuable uses for it. When you get a label maker, you can use it to label files in your file cabinet, as well as items in your work binder. 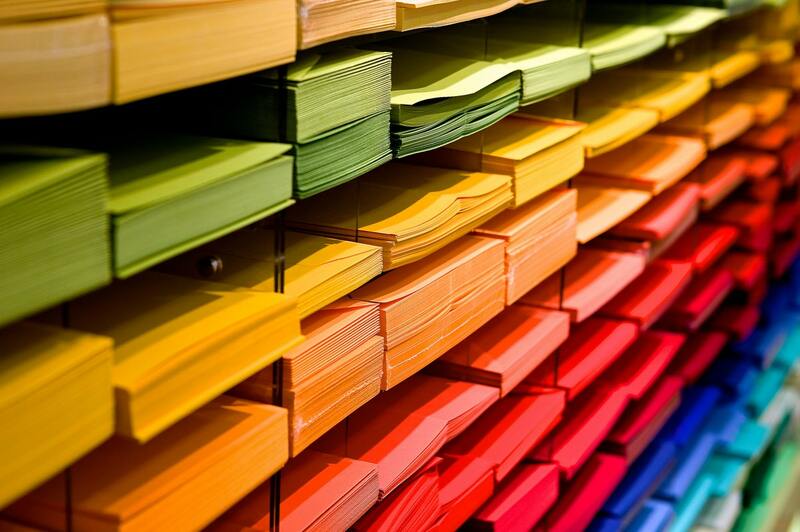 You won’t have to stop and look through files individually because they’ll be clearly marked. This will help the flow and organization of your desk and office space. 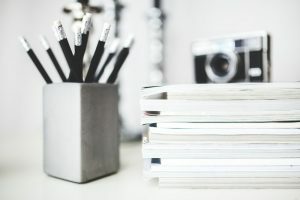 Having a well-organized professional space leaves your mind free for creative ideas and productivity during work hours. By setting some time apart to sort out your belongings, you can then focus on what really matters. The Brother PTD210 Label Maker allows you to create a custom label or use a pre-designed template. The tool gives you access to over 27 templates, hundreds of symbols, 97 frames, and 14 different fonts. The Brother PTD210 stores up to 30 personalized labels for future use and allows you to print decorative patterns for your labels. It’s portable and lightweight and works with six AAA batteries (not included with your purchase). The tool comes with a protective case and makes durable, water-resistant labels for your office needs. You can expect the labels to last a long time and stay clear and sharp. Check price of the Brother PTD210 on Amazon. The DYMO LetraTag LT-100H is a sleek, hand-held device with a portable design. It comes with a variety of texts and colors for your labels, in addition to text size options, bolding, underlining, and more. The graphical display is user-friendly and shows your selection clearly. The internal memory of the DYMA LetraTag LT-100H can store up to 9 labels for later use. 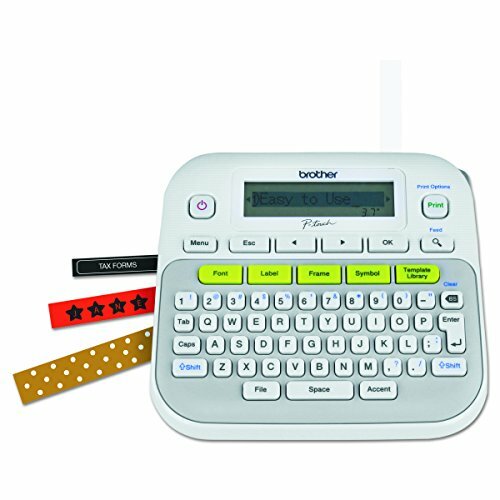 You’ll need four AA batteries to power this label maker (not included in your purchase). Check price of theDYMO LetraTag LT-100H on Amazon. 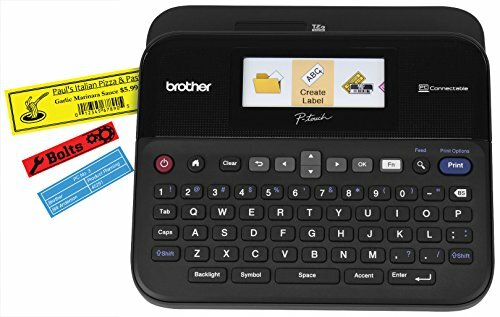 The Brother PTD 600 Label Maker has an angled design with a QWERTY-style keyboard that’s large and easy to read. Creating text for your labels is easy and simple, even if you’ve never used a label maker before. The labels print fast and come out automatically cut for a professional, clean look. They stay sharp and won’t fade with time. The labels, once printed, are super durable and will stay put. You may connect the tool with your PC or Mac by USB. The printer on this label maker is good enough to print high-resolution logos and barcodes. It comes with more than 700 symbols, along with plenty of frames and font options. The graphic display is clear and easy to see. Check price of the Brother PTD 600 on Amazon. If you want a wireless label maker for use with your smartphone or laptop, below are our two favorite options. 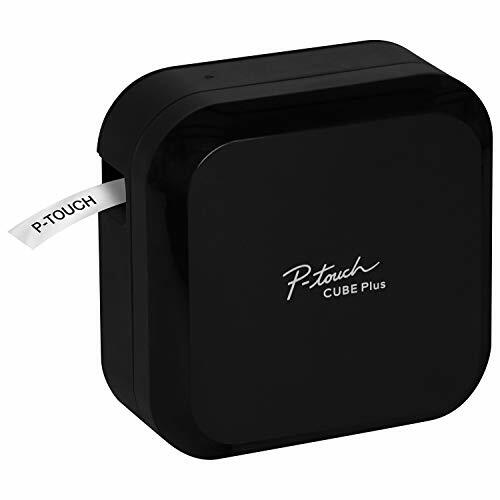 The Brother P-Touch Cube Plus PT-P710BT Label Maker is a portable, lightweight tool with Bluetooth technology. You may use it to print custom or pre-designed labels from your Android or Apple smartphone or computer. Choose from many different creative templates with symbols, frames, and different fonts included. It’s nice to have the option of using a pre-designed label or creating your own, so you can be creative but don’t have to be. Check price of the Brother PT-P710BT on Amazon. 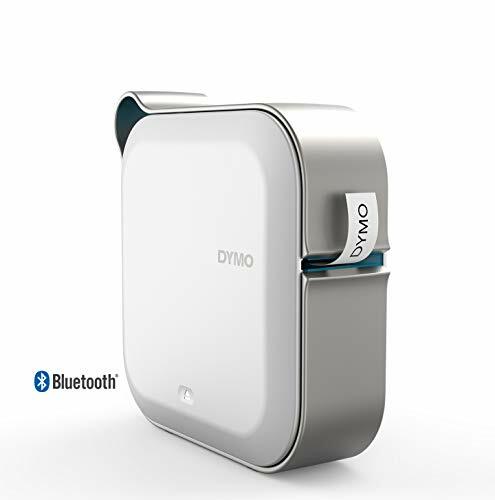 The DYMO MobileLabeler allows you to print and make labels from your tablet or smartphone using Bluetooth technology. You can choose between custom styles and borders using Apple and Google font libraries. Instead of taking disposable batteries, this one uses a rechargeable battery. 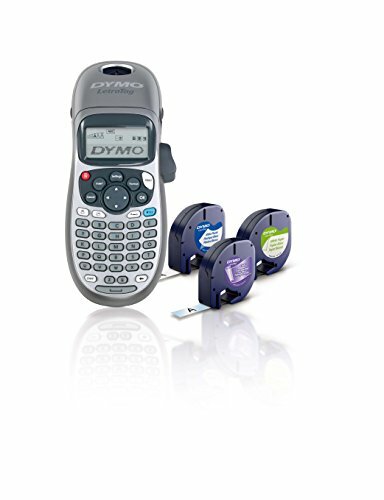 Check price of the DYMO MobileLabeler on Amazon. As you can see, there are many reasons to get yourself a label maker for your office. As soon as you get one, you’ll probably find many valuable and surprising uses for it around the house. 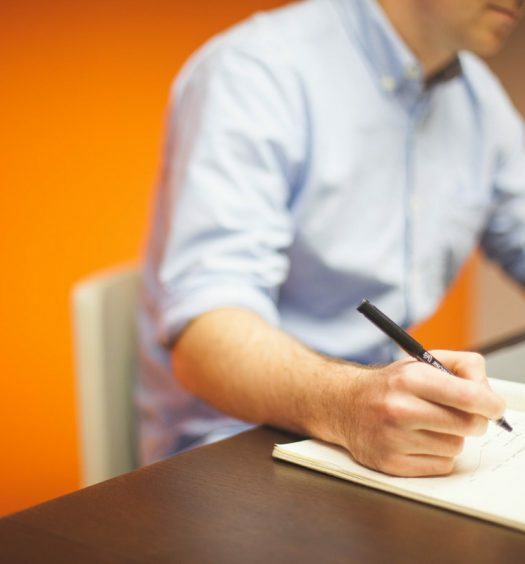 Once you reap the benefits of improved organization, you’ll thank yourself. Happy labeling!